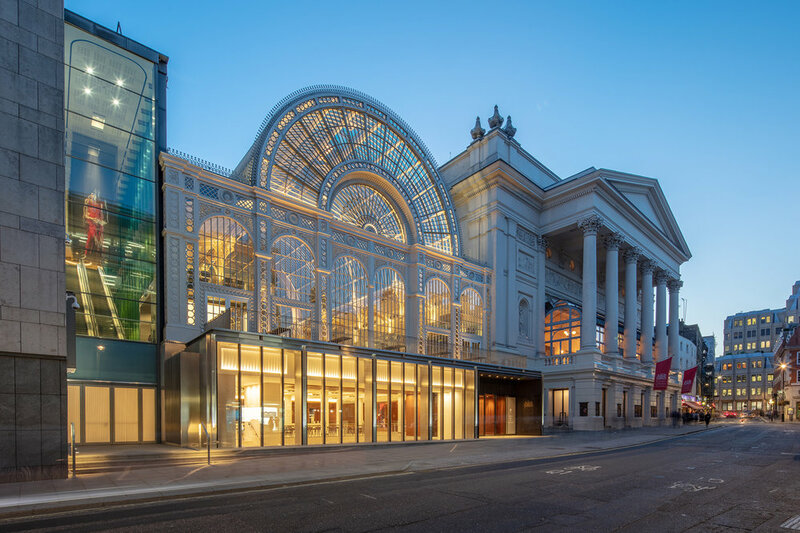 In 2018, the ROH realised its ambition to be more accessible to the general public, opening up new foyers and public areas designed by the architects Stanton Williams. Studio Eger were commissioned to design the opening series of exhibitions, in collaboration with Skellon Studio. The central exhibit is a series of large transparent fabric sheets, suspended above the escalator void. The sheets show a series of stills from a ballet performance. 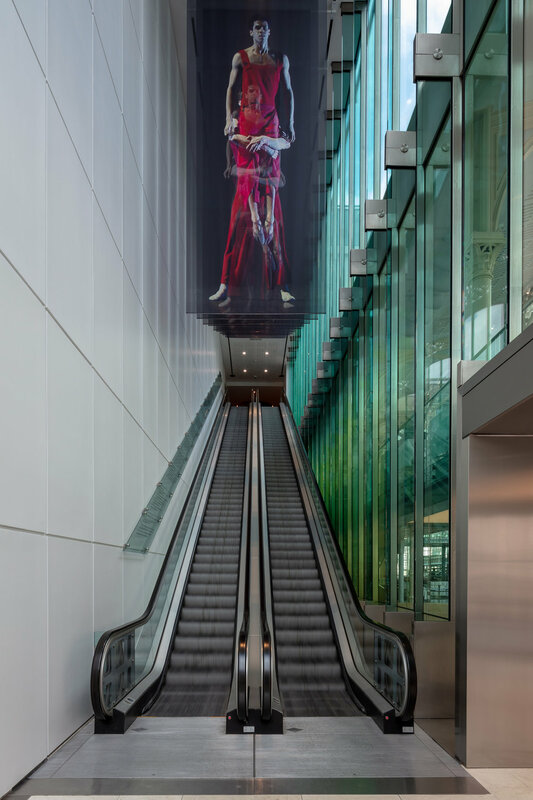 As visitors move up and down the escalator the sheets transition to reveal the dynamism of the dancers moving through the space above them. 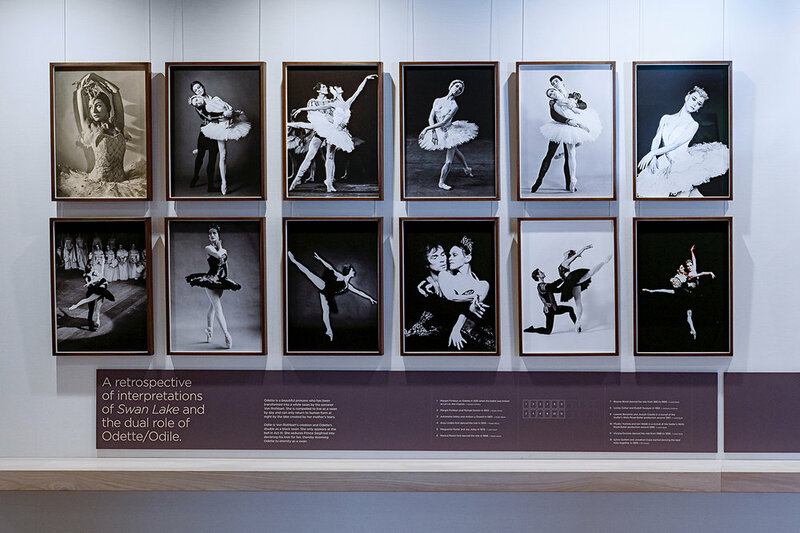 A timeline of stage models has been framed by historic imagery and a series of showcases and open displays in the main public spaces involve the visitor in the culture and history of the Royal Opera House.